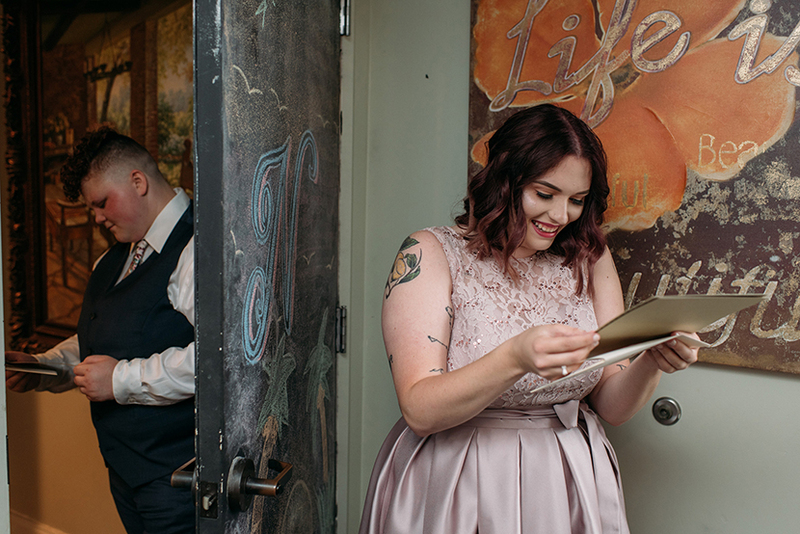 This was a total first for me: a surprise wedding! 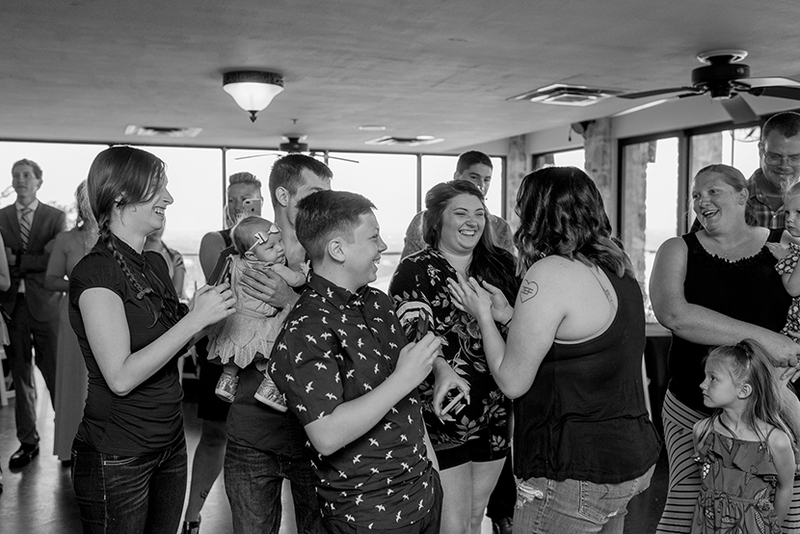 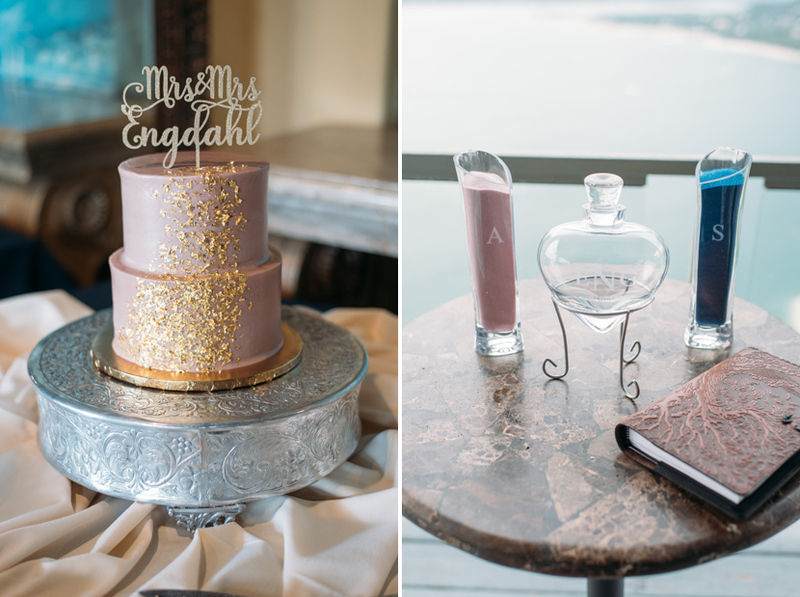 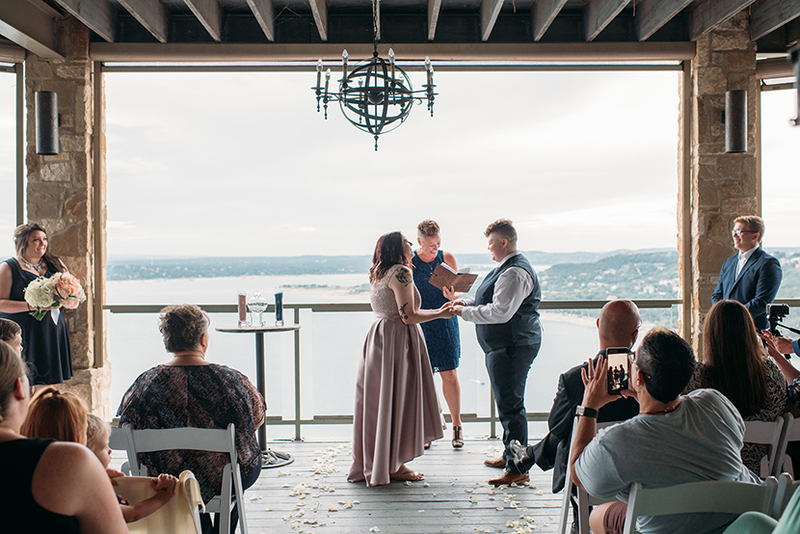 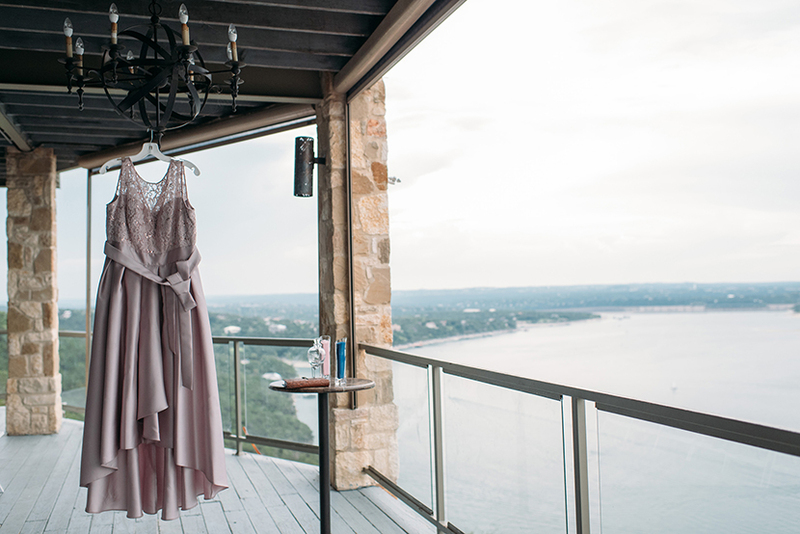 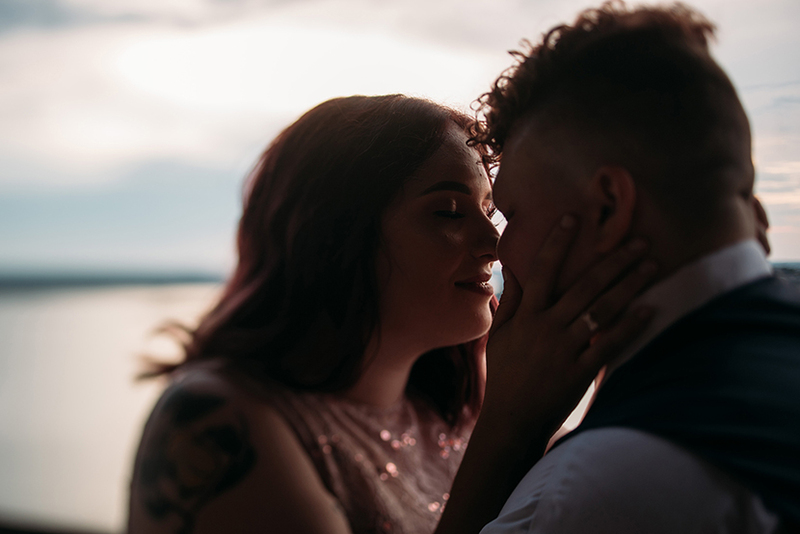 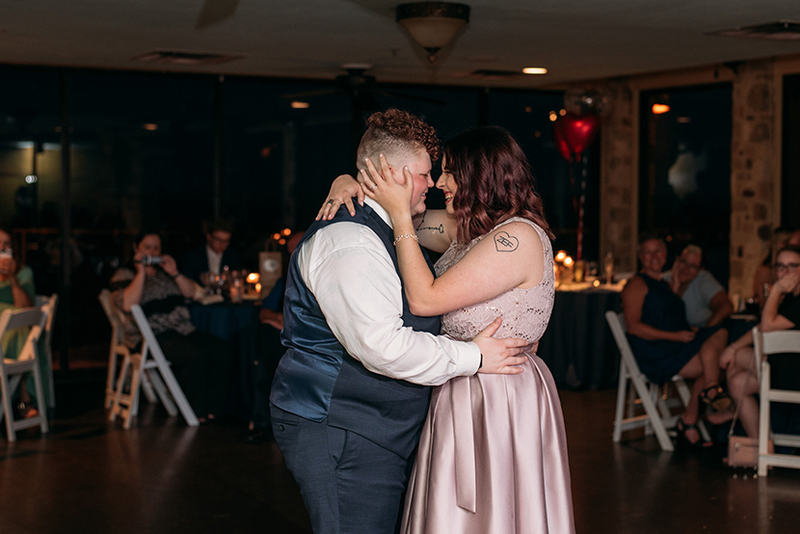 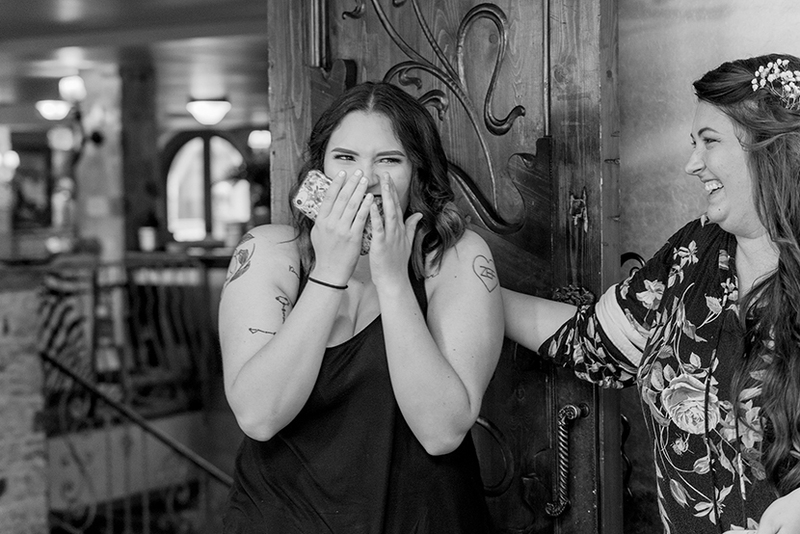 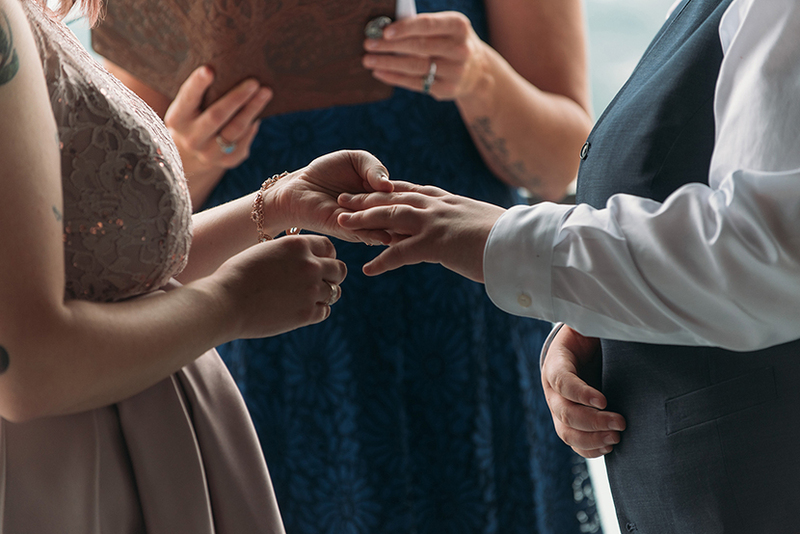 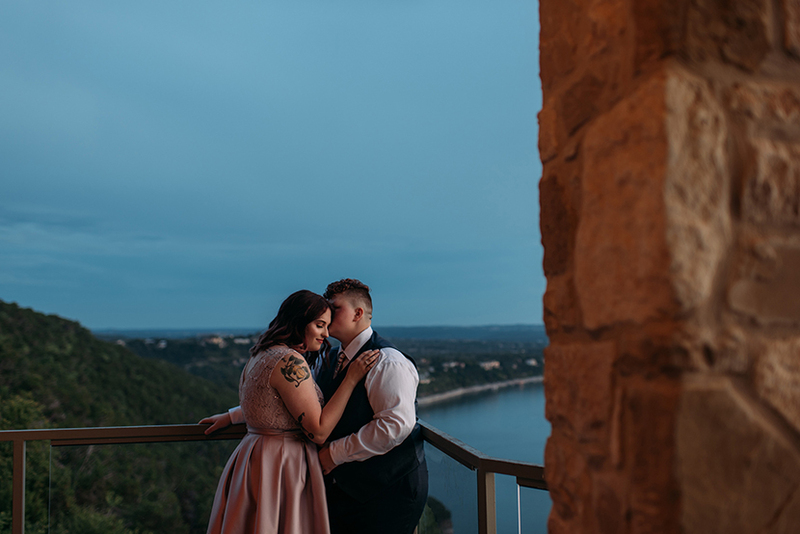 Shayna knew that her fiancée Alaina loved surprises, so although the two brides were planning a courthouse wedding for the following week, Shayna took it upon herself to plan an entirely different wedding at The Oasis on Lake Travis. 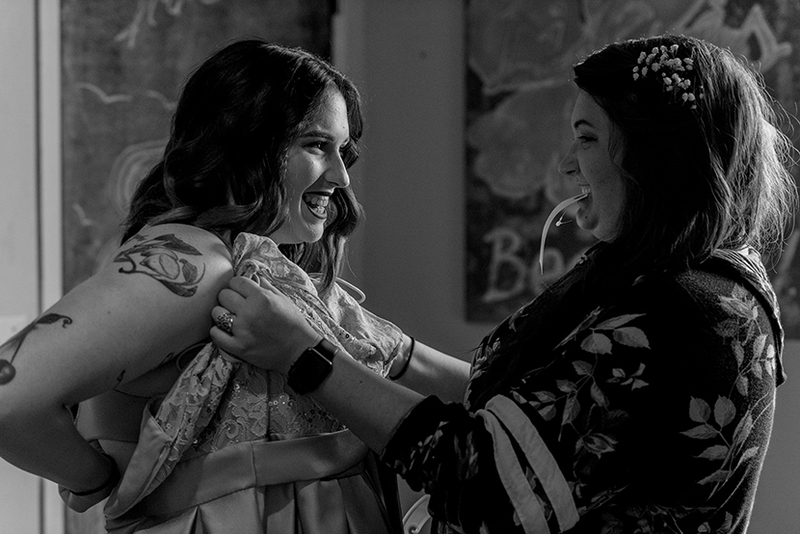 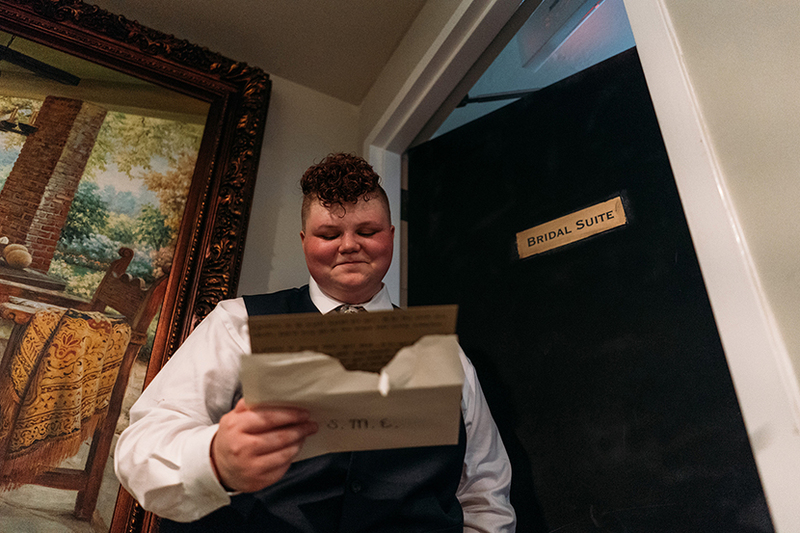 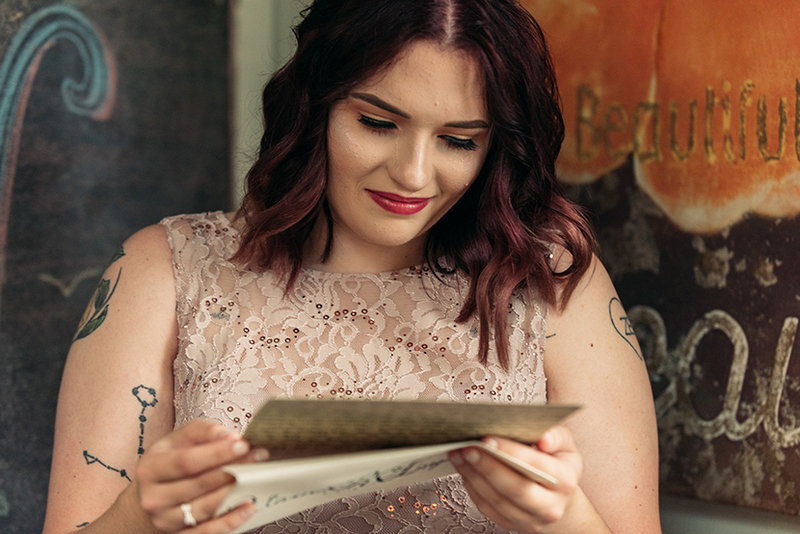 She brought Alaina’s gown, jewelry, shoes, everything she needed (and thought she needed for the courthouse wedding) with them on a “date,” with Alaina not knowing that she was going to see her family and friends waiting in anticipation. 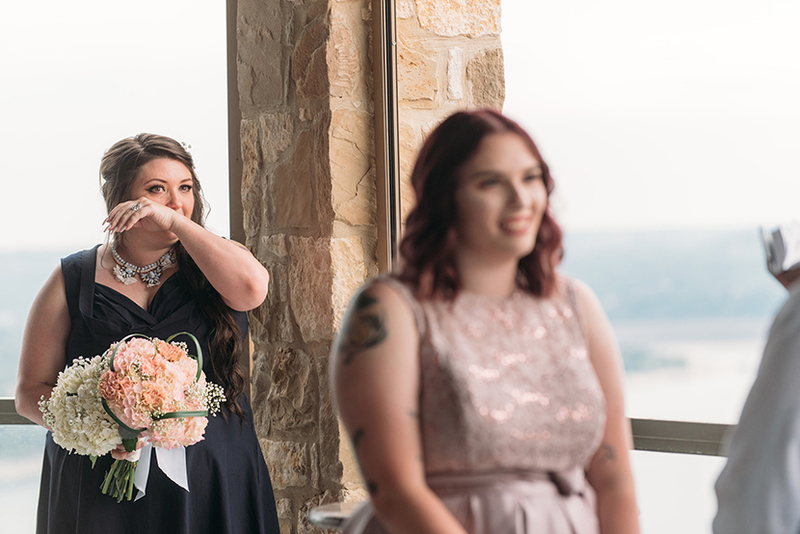 As soon as the double doors opened, Alaina saw everyone and burst into happy tears. 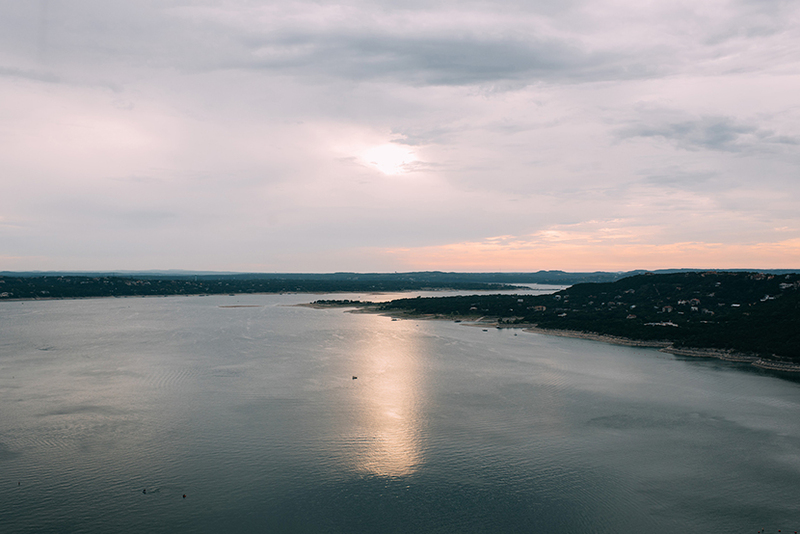 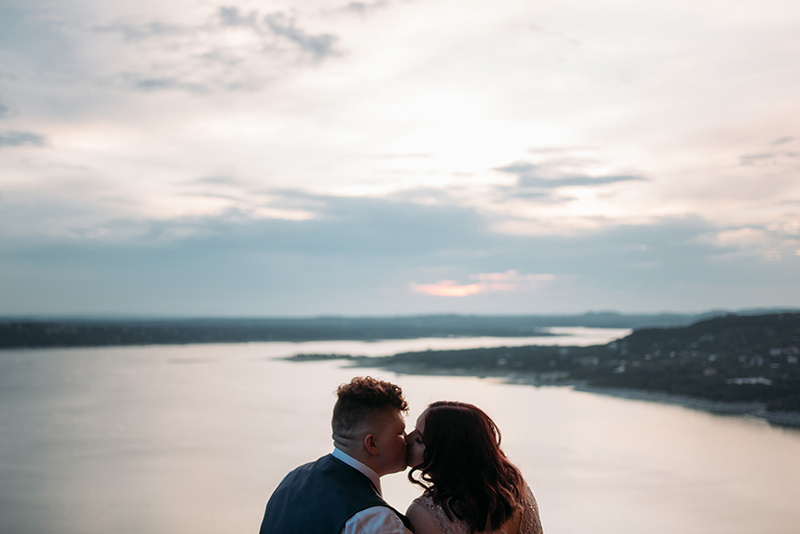 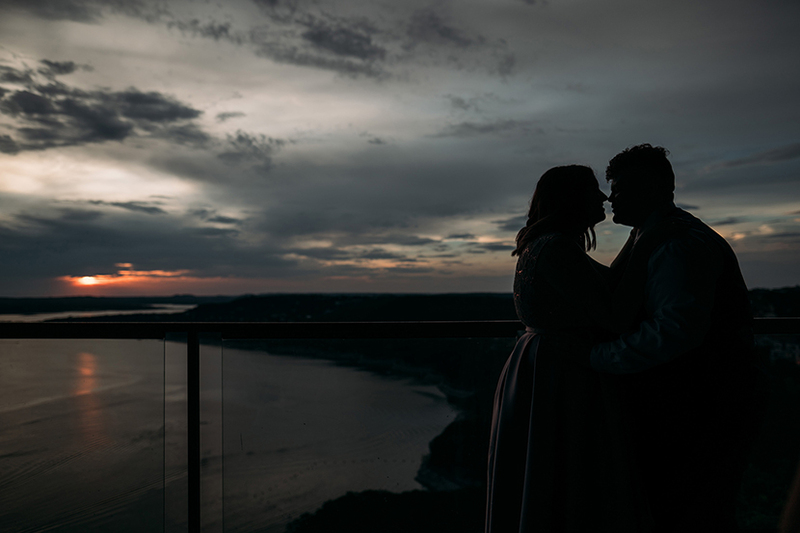 The rest of the day rolled out beautifully: the couple was married by a longtime friend, they feasted on steak and cake, and the sunset over Lake Travis was spectacular. 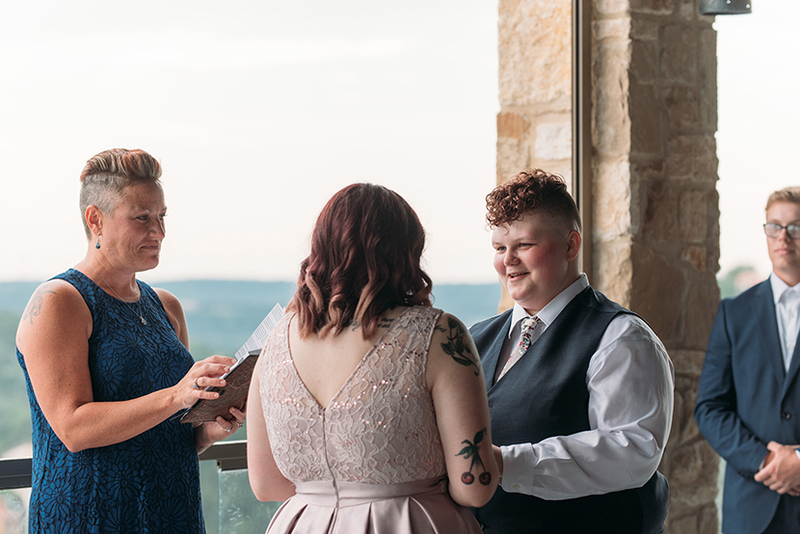 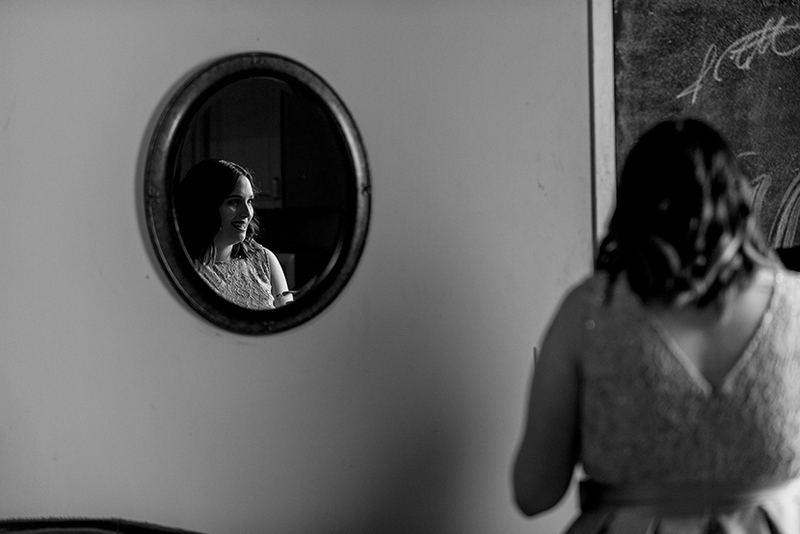 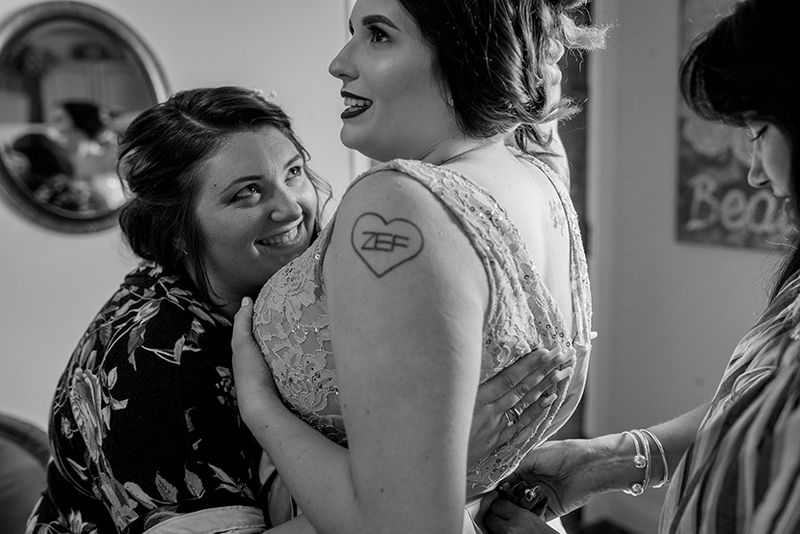 This might not have worked for many people, but for Shayna and Alaina, this wedding was perfect.